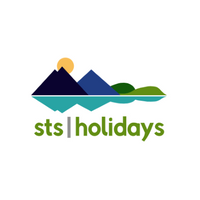 Accredited by Visit Wales to promote holiday cottages in North Wales, Snowdonia Tourist Services were established in 1976 and provide an excellent standard of service to their guests. Based in Porthmadog the agency team have extensive knowledge of the surrounding area (including Harlech, Blaenau Ffestiniog and Criccieth) and enjoy a great deal of repeat business. Justifiably proud of Snowdonia National Park, they invite you to holiday with them and explore everything that the region has to offer.